Whether you like to spend big money or stick to the penny slots, there is something for everyone at New Jersey online casinos when it comes to New Jersey online slots. Slots have been around for more than 100 years and started with a simple three reels and single payline. However, in this day and age, game makers has created an array of complex slots using modern and advanced technology. Some of these have more than 100 lines and 3D graphics, as well as elaborate bonuses that make your gameplay experience extremely exciting. Back in the day, slot machines were merely mechanical contraptions that were activated by putting in a coin and pulling down a lever. Many people thought of slots as a money pit, or as they were once called, “one-armed bandits”. However, now that online slots have come into play, with one of the most lucrative payouts in the casino industry, they are many people's go to when logging into their favorite New Jersey online casino. Let’s take a look at PlayingLegal’s overview of playing slots online. Most New Jersey online slots contain five reels and have either three or four rows of symbols. The point of slots is to draw a winning match, which will happen when several of the same symbols are drawn in the same payline. How much you can win from any given spin depends on the value of the symbols, as well as how many symbols match. Additionally, you must also have all of the symbols appear back to back of each other on a payline and from left to right. Playing online slot games is arguably the easiest online casino game you can play. Simply, begin by picking the number of lines you want to play. After that determine the amount you’d like to bet on each of those number of lines. If you’re playing a slot game in which the payline is fixed, then be aware that all lines will be selected automatically and you won’t have the option of subtracting or adding from the total. To do so, all you have to do is click on the “spin” button and you’re set! Alternatively, you can click on the “max bet” option, which will then activated all of your paylines and your spin will start. If you get bored of clicking on the spin button over and over again, the majority of New Jersey online casinos allow you to use an “auto spin” feature so that you can play a predetermined number of spins all at once. All you need to do is relax and play your spins! No hands required. In this day and age, online slots are one of the most popular online casino games due to how easy they are to play and their potential to win players huge payouts. You’ll find that most New Jersey online casinos focus their website largely on New Jersey online slots as it’s their biggest draw-in. For instance, Golden Nugget’s online casino games consist ¾ of online slot machines. Some people argue that winning at online slots is pure luck and in the end most people lose their money. However, the millions of people that flock to New Jersey online casinos would beg to differ. When it comes to playing online casino games that take skill, there are a lot of decisions that have to be made, such as whether you should split pairs or double down. Sometimes people just simply make the wrong play or don’t have enough chips to make the play that they should have. All of these things work to inch the house edge up and is how casinos end up making so much money. On the other hand, slot players don’t need to concern themselves with complex strategy and there aren’t any mistakes they can make to jeopardize a win. The slot edge is a fixed and predetermined rate that won’t go up or down, so all that slot players need to do is sit back and immerse themselves in the game. What are Your Chances of Winning on New Jersey Online Slots? Many people argue that New Jersey online slots have a subpar house edge compared to other online casino games. However, the house edge actually is quite good for many games. Although it depends on the specific online casino game that you’re playing, it typically wavers around 5% or smaller, which is comparable to other online casino games like roulette. Nevertheless, blackjack is much lower at .5 percent or even smaller. If you’re heading to Atlantic City for some land-based casino fun then you’ll find tens of thousands of physical slot machines. While the online casino scene is a lot more limited, with a typical online casino having between 200-300 slots, the majority of players are quite satisfied with the selection. There are a few ways to classify New Jersey online slots, like by the number of paylines or by theme. Many casinos also allow you to browse their slot selection based on categories like trending slots, new slots, most popular slots and featured slots. That being said, an easy way to categorize New Jersey online slots is whether they are 3 or 5-reel video slots. There is also a third category of casinos called “progressive jackpot slots”, which usually consist of 5-reel video slots. The 3-Reel slot is often called the “classic slot” as they are similar to what you could play in the physical casinos back in the day. Instead of the current standard 5-reel, there are only three and typically between 1 and 5 paylines. The symbols are also of the traditional variety such as cherries and other kinds of fruit, as well as the number seven. There are only a few of these kinds of slots available on NJ online casinos. Most people prefer to play the current standard 5-reel video slots instead and with good reason– they are a lot more diverse and exciting. 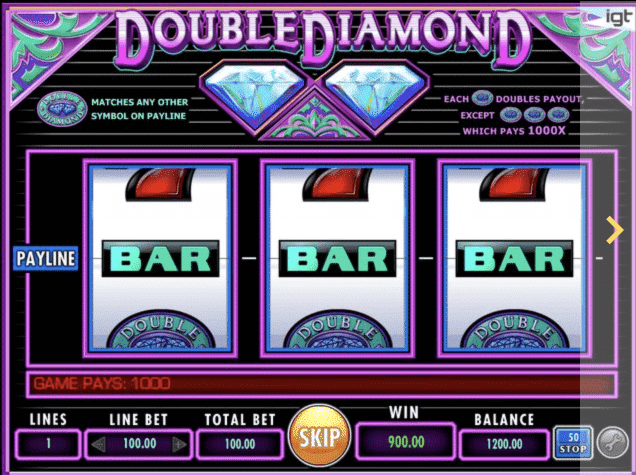 Two of the most popular 3-Reel online slots are Double and Triple Diamond. If you like your online casino gameplay to be classic, simple and straight to the point or are just getting started in the New Jersey online casino world, then 3-reel slots may be for you. That being said, keep in mind that they lack the stunning, innovative 3D graphics that we mentioned or any of the advanced animations of new video slots. Additionally, you’ll find more limited betting options. Those that like to spend a lot of money on slots or need more excitement to keep them on their toes will likely prefer video slots. If you prefer to have a ton of options on your hands and like a good dose of excitement and entertainment with your online gambling, then 5-reel video slots is the perfect fit for you. The 5-reel slots of today are full of action and fun animations, amazing graphics and some great sound effects. 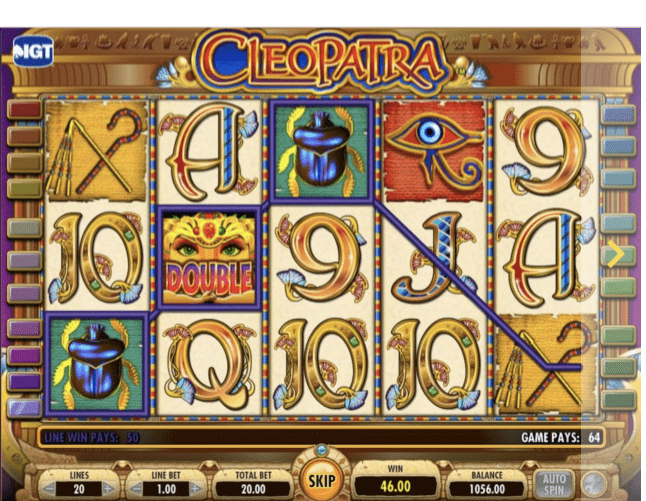 They are also more complex with the likes of multipliers, free spins, wild symbols and scatter symbols. Many also have an immersive bonus round where the outcome and your winnings is up to your choices. Many games also have a captivating storyline and plot that unfolds as you continue to play. Progressive jackpots are a specialized type of slot game in which the jackpot keeps growing as more people play until finally some very lucky person takes the whole thing home. There’s no strategy to win the jackpot, as it’s pure luck. Although some people may think this is a negative, keep in mind that there is also no need for skill, which makes it one of the easiest jackpots you can win. Be aware that hitting the mega jackpot is a rare occurrence and is a long-shot. However, winning jackpots do happen and they happen to people like you! Wild Symbols aren’t just there for fun. In many games they can turn a losing payline into a winning one. Some can be cascading or expanding and some even will stay in place for your next spin. Each slot has a certain number of “paylines” from which players can bet on. There are some slots that let you activate a certain payline, while others have a fixed number of lines that you need to bet on for each spin. Paylines go from left to right and can also move up and down, diagonally and horizontally before they connect to their number at the bottom of the screen. You’ll win when symbols match across any active payline that you’ve bet on. 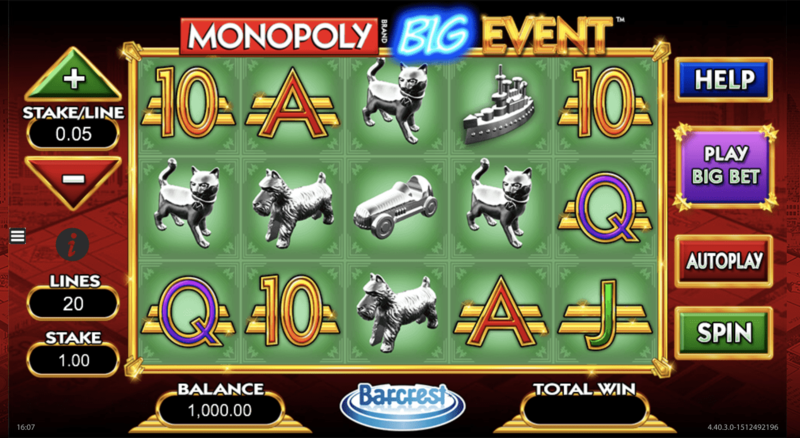 This payout amount depends on the number of symbols that match in a payline, as well as the amount that you bet. When a certain symbol is “scattered” it often activates a bonus round or you’ll be given a bonus award. Typically, three or more symbols have to appear on the screen, but in most cases they can be in any position and don’t need to be in a certain payline like a typical winning spin requires. The paytable gives you all the needed information to play no matter what New Jersey online casino game you picked. This includes scatter and wild symbols, payouts, paylines and symbol values. A bonus round occurs when a certain number of scattered symbols appear on the screen. The number of free games that are given depends on the paytable. These symbols can be anything and will help you create more winning matches. All of the New Jersey online casinos have online slot games, so no matter which online casino you choose to play on, you’ll have plenty of slot gaming opportunities. When it comes to variety, all of the online slots have plenty of games to choose from. However, there are a few things that makes New Jersey online casinos stick out from the crowd, such as their presentation of the slots, clear explanations, the ability to play for free and more! Let’s take a look at what each New Jersey Online Casino has to offer in terms of online slots. 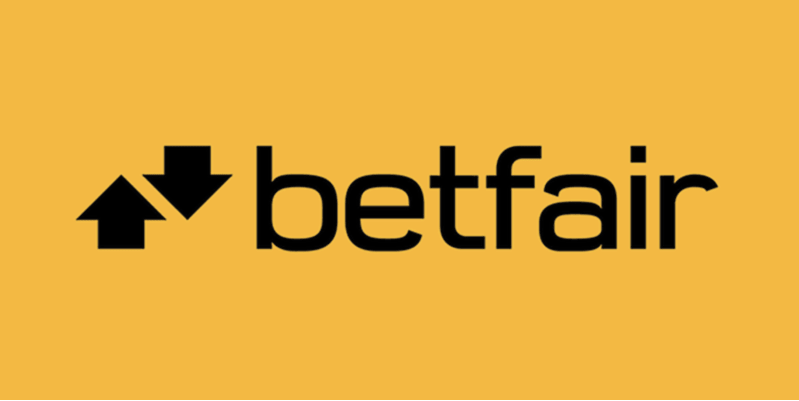 Betfair has a substantial selection of over 200 slots. Additionally, you’ll have no problem finding your favorite games as they’re organized neatly by category so even with the extensive library of slots you’ll find exactly what you’re looking for with ease. Besides the ability to categorize the slots by their name, you can also look at them in categories such as exclusive, new and featured. Additionally, you can find online slot games with a specific number of lines. All of Betfair’s Casino’s online slot games are penny slots and have multiple lines. The majority of them have bonus games. 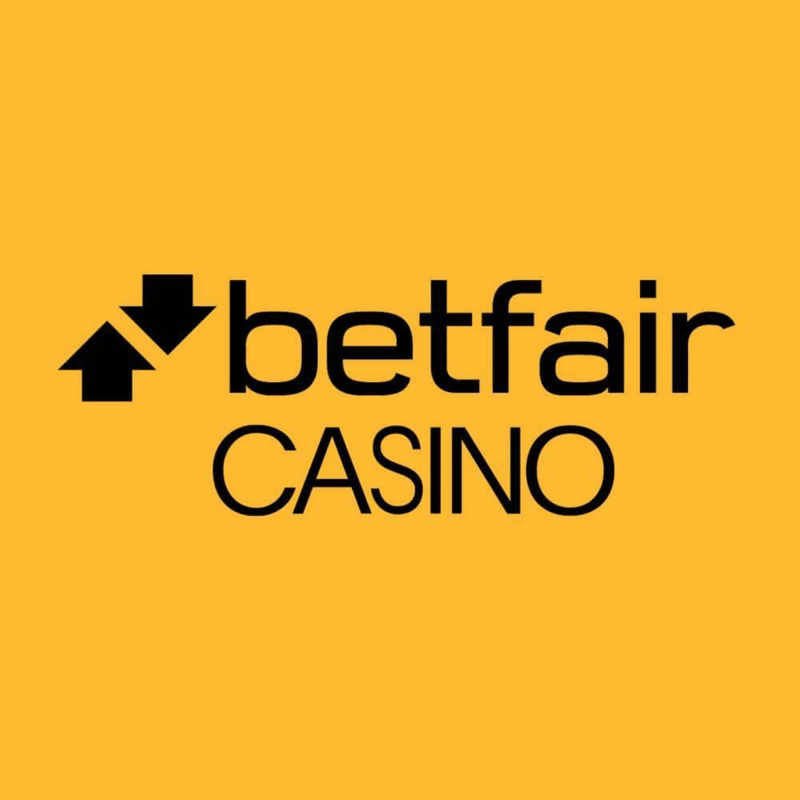 Many of the games that you find on a casino’s physical floor can be found in Betfair’s online casino deck. This includes Double Diamond, Wheel of Fortune and Starburst. 888Casino's online slot games focus more so on making sure the games provided are of the highest quality instead of providing a huge array of mediocre titles. 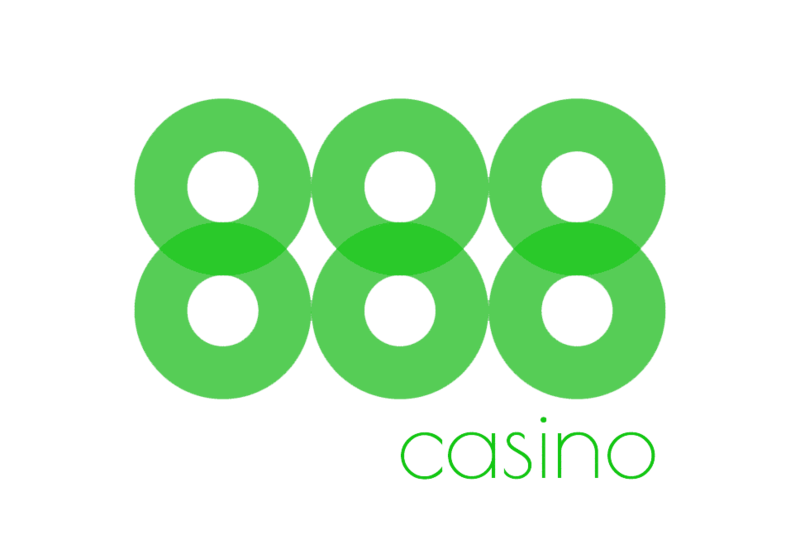 Although 888Casino therefore has the smallest library of slots on the market with only a little more than 50, you can rest assured that all of these slot titles are extremely well-designed. 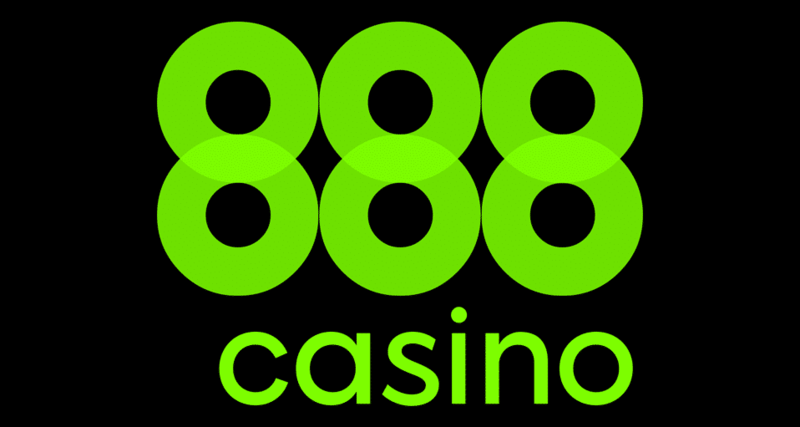 Most of the games on 888 are equipped with high definition graphics and a recent partnership with the gaming software company SG should bring a larger assortment of titles for the future. Caesars Online Casino has a rather extensive library of online slots with around 350 slots. 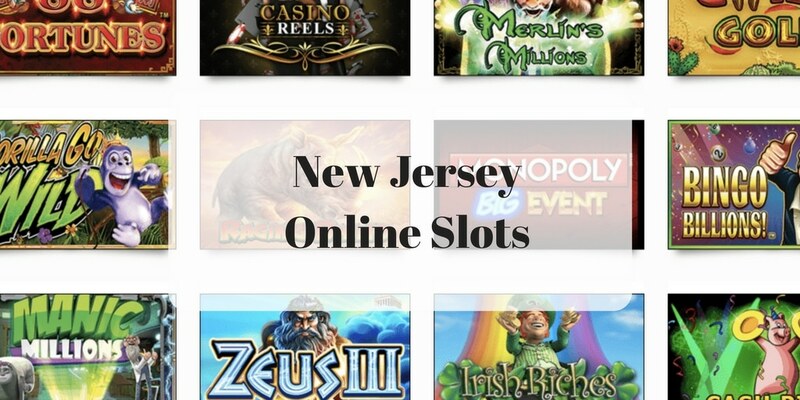 New slots are added every day as well, which is faster than most NJ competitors. 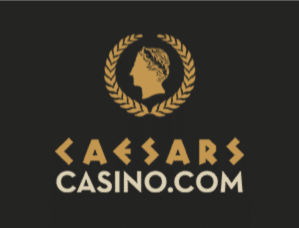 Caesars doesn’t alphabetize or organize their games in any way, which means you’ll have to simply scroll through their games to find one that interests you. However, Caesars has the most diverse selection of titles, partnering with 12 different gaming software providers. Caesars also has many choices of their slot selection on their mobile casino. Borgata Online Casino has over 260 slots available to online NJ players. They have a strong partnership with GVC gaming software, which also incorporates other game creation studios like IGT and NetEnt. The slots are listed alphabetically and you can hover over them to learn more about the games that you’re interested in. If you like to hit big jackpots, then Borgata may be your best bet, as they have eight progressive jackpot slots that reach over a million dollars. Harrahs Online Casino NJ has a relatively small selection when comparing to other online casino competitors. There are just under 70 slot titles to choose from, however, Harrahs has been adding more games to the list and continues to host the most popular slots found within the NJ iGaming industry. 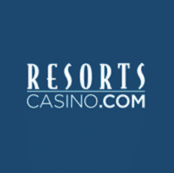 In addition, Harrahs has a few of both ongoing and short term bonuses that promote slots. Golden Nugget Online Casino has one of the largest selections of online slot games with an impressive 410 titles. The good news is that you don’t have to sift through all these yourself, as they’ve categorized their impressive game library into an organized table. You can organize them by New, Hot, Featured, etc, as well as by their game provider. 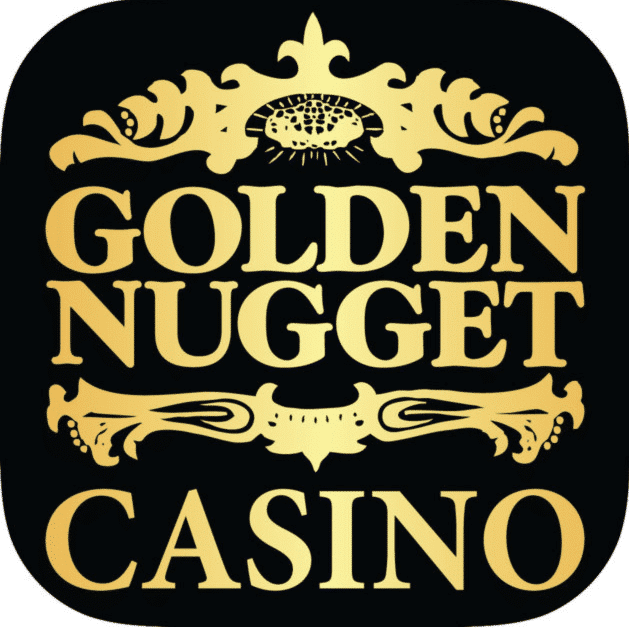 Golden Nugget also gives you the chance to test out any slot game you’re interested in through the Demo Feature Mode. Pala Online Casino has well over 210 slots in their NJ online collection. The titles range from classics such as the famous Triple Diamond and Red Hot 7’s to new popular slots like Siberian Storm and Kitty Glitter. Pala offers several slot promotions throughout the year, with all bonuses clearing the fastest through slot play. 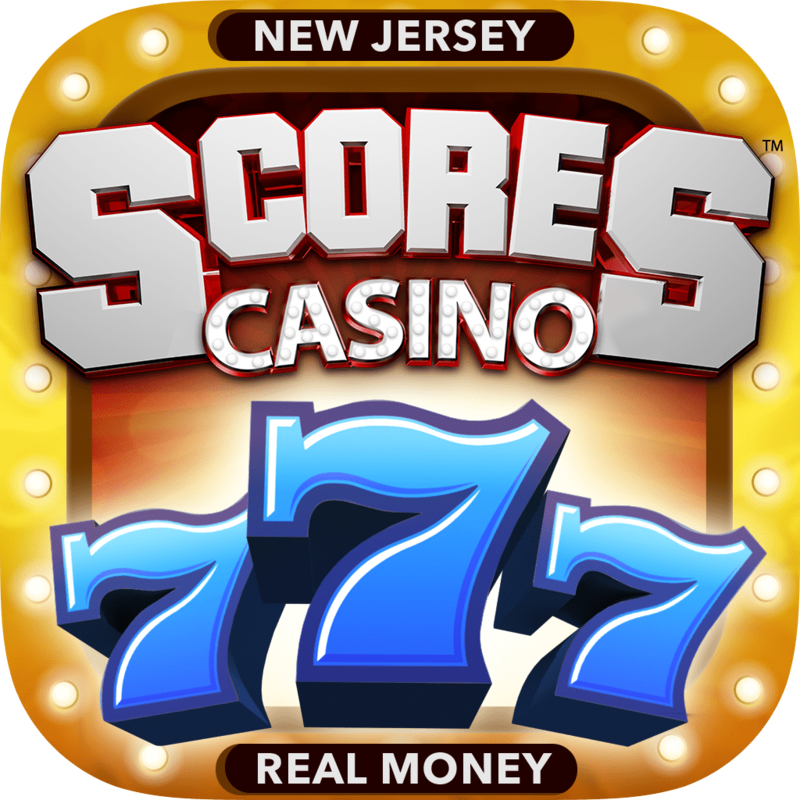 The mobile assortment of slot titles leads NJ by offering over 75 different choices. 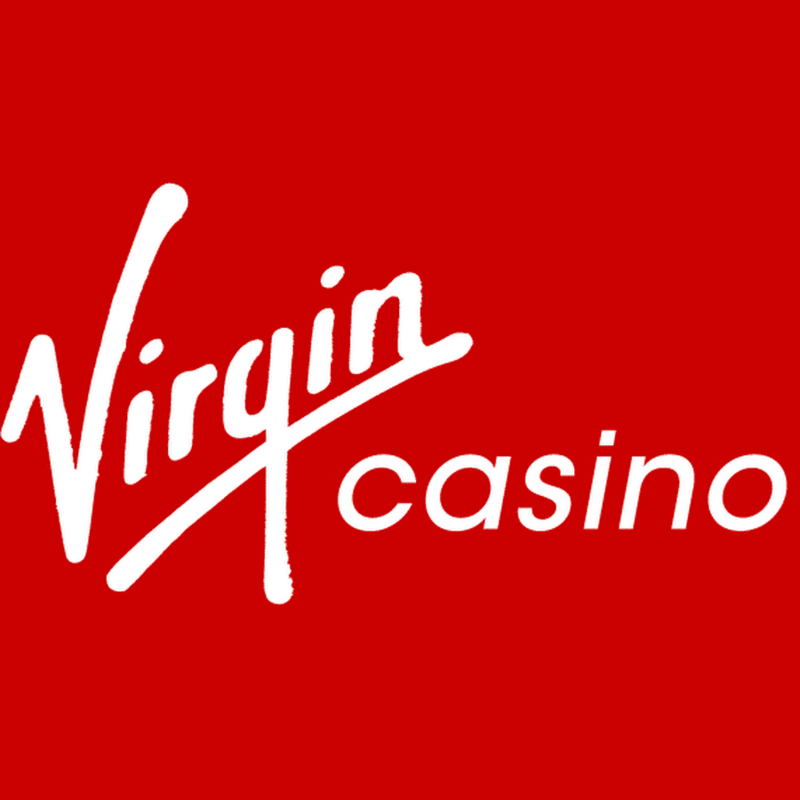 The slot game selection at Virgin Online Casino is decently sized at 150 slots to pick from, including a good number of exclusive titles and a few jackpot games. Most of the selections offer 5-reels with a multitude of paylines, and each game allows you to click on the “i” to find out more information. 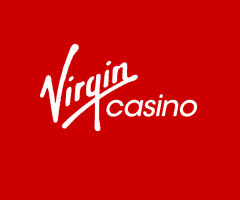 Currently, Virgin Casino and Tropicana Casino also offer a unique community jackpot which pays $20,000 on top of the jackpot winnings to players who have been online within the hour. The higher you are in either of Virgin or Tropicana’s Online Loyalty Programs, the more you get paid a portion of the community jackpot. 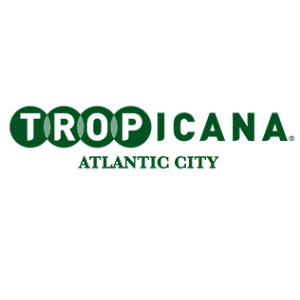 Tropicana Online Casino is almost identical to its sister site, Virgin Online Casino, which makes sense as they are both affiliates of Tropicana Casino in Atlantic City and run platforms created by slot software powerhouse, Gamesys. The 170 slot selection includes most of the popular titles found throughout New Jersey, as well as several exclusive slots only found at either the Tropicana or Virgin Online Casinos. MGM Casino lands in the middle of the pack with more 230 slot titles available. However, playMGM Casino is fairly new to the New Jersey iGaming industry and is bound to add more slot games to its library. The jackpot slot collection is one of the best in New Jersey, with seven different choices progressively reaching over $2 million each. You are able to save your favorite games in your own personal library, which can make for easy gameplay once you find your favorite games. 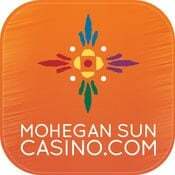 SugarHouse slot collection exceeds over 360 titles including six exclusive slot games, placing it still among the five best NJ online casinos in regards to slots. 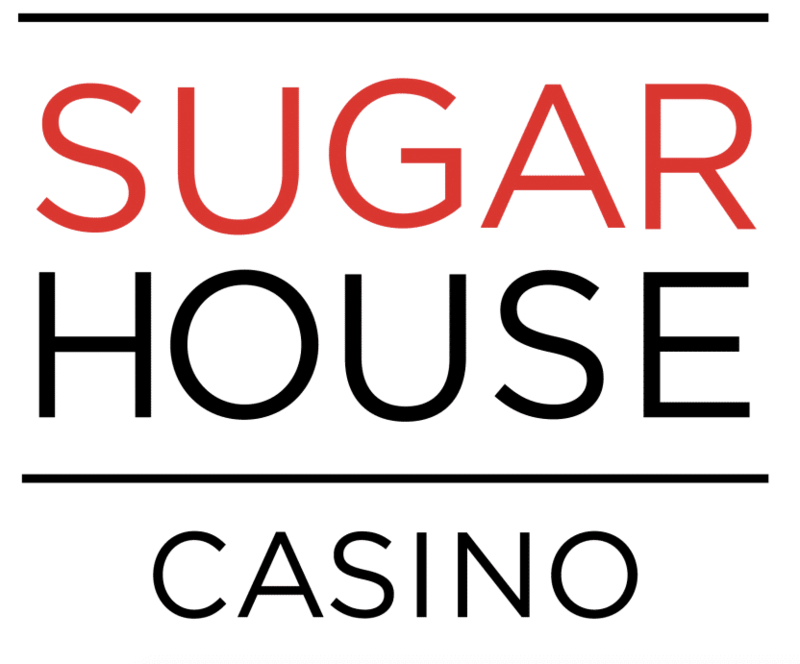 The exclusive games at SugarHouse have extra bonus features that improve odds and increase payouts. 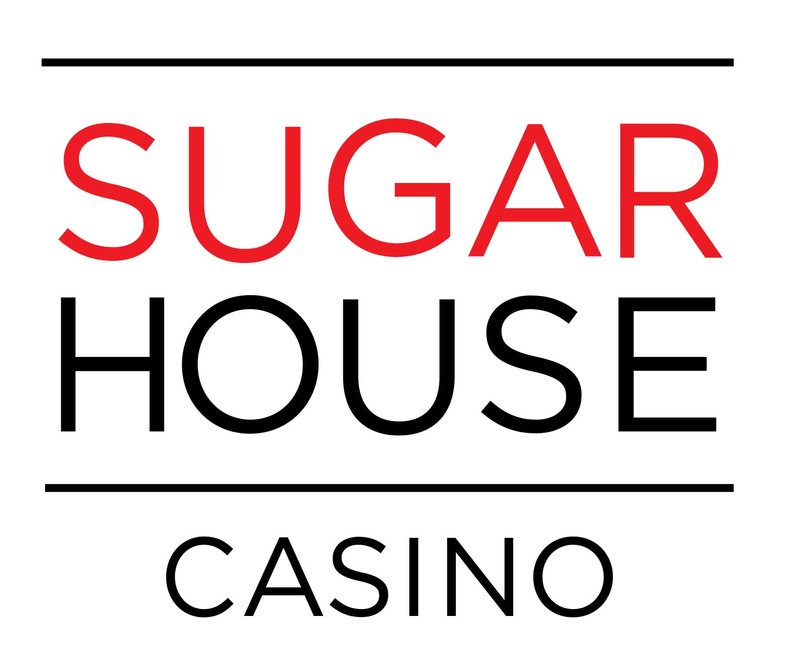 SugarHouse specifically focuses on slots and you can expect for the assortment to grow incrementally over time. Scores Online Casino is in close affiliation with Pala Casino, but definitely offers New Jersey players a few exclusive slot titles including its own mobile casino slot collection. The slot library has over 200 titles and the collection includes both the classic favorites as well as the popular modern slot games. New Jersey online slots are by far the most popular gameplay option with millions of New Jersey residents both flocking to Atlanta City and simply logging unto their computer for some fast-paced, exciting gambling time. While it's true that New Jersey online slots is based mostly on luck, many people prefer this as there's no need to learn complex gaming strategy and hone your skills. Instead, all that is needed is a computer or mobile phone and a payroll to potentially win a huge payout. As always, play safe and have fun!